This pattern is made to go with our Retirement Lane panel. 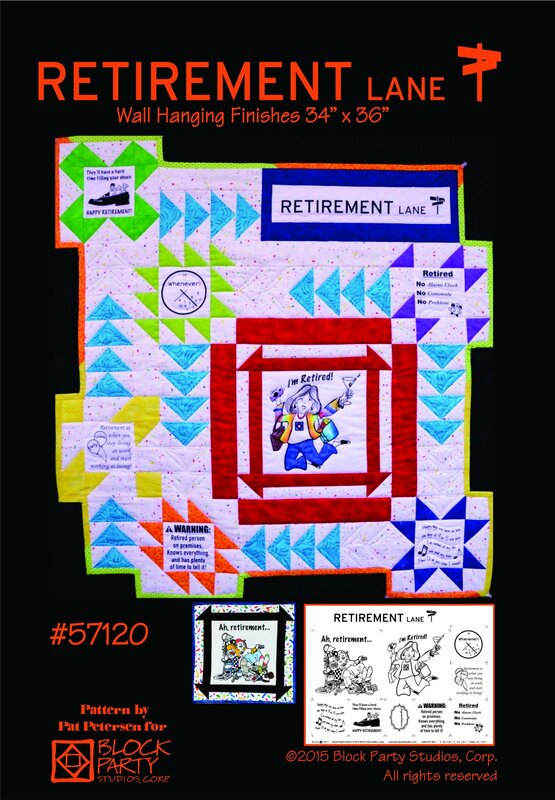 Delight friends and loved ones with a quilt made with our Retirement Lane pattern. Finished quilt size is 34" x 34". Choose one of two squares to make the quilt for a retired guy or gal.